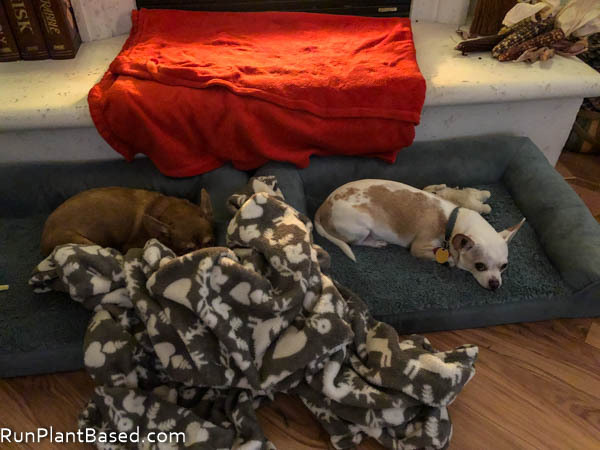 We’re still here with very frustrated dogs! Currently our air quality status is hazardous from the Camp Fire just north which is the worst rating I’ve ever seen. That rating basically means don’t go outside without a mask and it’s been consistently bad every evening since Friday so no evening walks for us. I’ve been trying to play more with them inside and get them out for quick backyard visits, but I feel so guilty not getting them out. And so tired trying to function in this and not feel depressed at the sad stories coming from the fires and the sinking thought that these will only get worse. Schools are actually closing here because of the air quality, drive-thrus are closed, races and other outdoor events have been canceled. 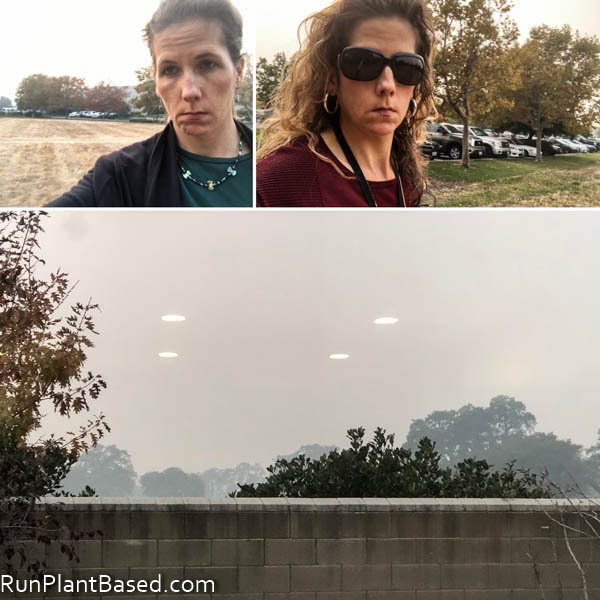 It’s sad and strange to think “air quality” days might be more of a frequent thing in the future. I guess all we can do is fight climate change and hope this inspires more fighting. And focus on good plant-based foods! 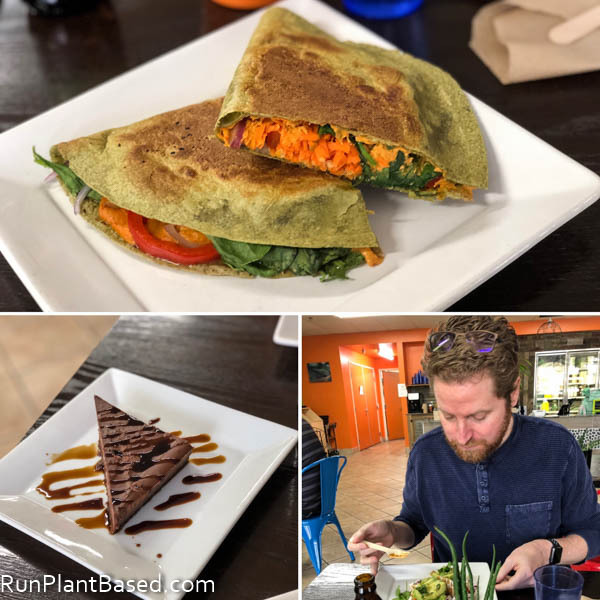 It’s been such a strange week that I feel like my eating habits and cravings are all over the place, but we had an amazing lunch at Zest Kitchen Sunday. Hubby got the tacos and I got the veggie quesadilla with kicky veggie “cheesy” sauce that I just love, it’s a healthier version of comfort food from my younger years. And we finished off sharing the espresso chocolate “cheese” cake, also awesome. 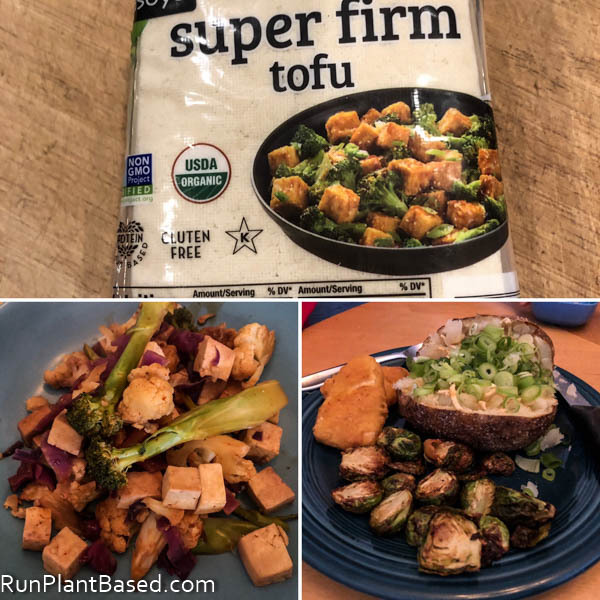 I had a high protein tofu stir fry dinner seasoned with a little sweet chili sauce after an intense gym workout while hubby made a great dinner of air-fried brussels sprouts with Gardein Fishless fillets and a loaded vegan baked potato. 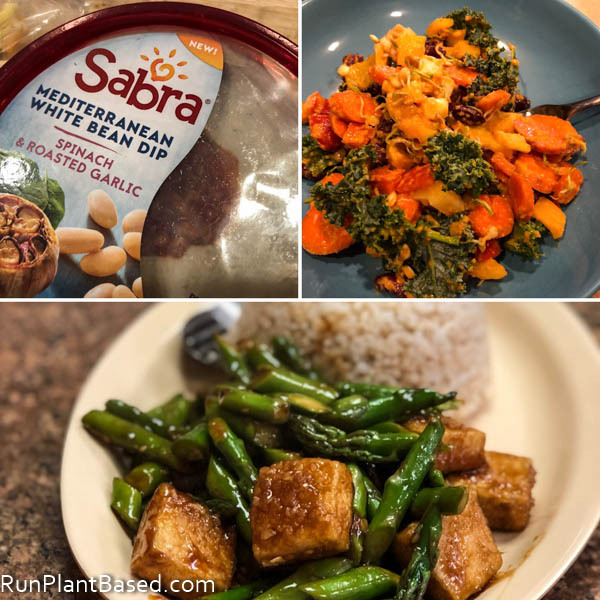 Yeah, there’s vegan comfort food going on this week! I also had a tasty kale salad with a dressing made from Sabra Mediterranean White Bean Dip that was very kicky. And we stepped out to lunch from Pho Vegan Asian Cuisine for the Tofu Asparagus special with brown rice. Yum, it was tasty with a heavy garlic sauce! 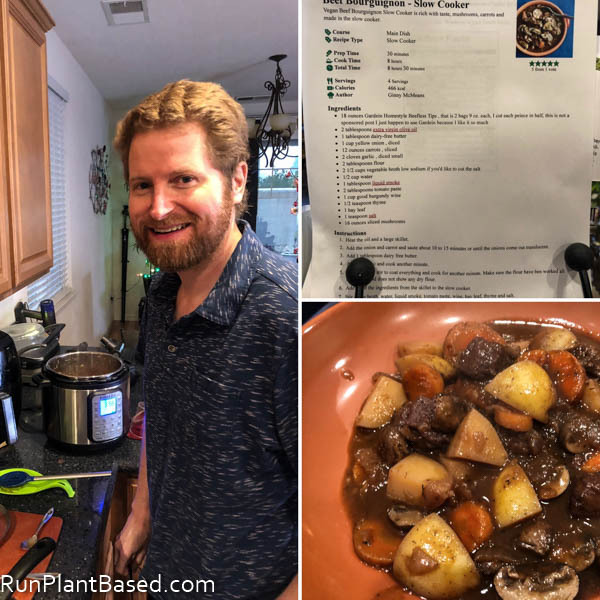 And tonight hubby made a delicious vegan “beef” bourguignon recipe using Gardein’s Beefless Tips. It was hearty and comforting as we’re trying to get into the holiday fall spirit. It is so awful out there… I’ve had a sore throat all week, and Luka is bummed out by the short walks, too. I wish there was some sort of indoor dog park at times like this! Yes, we broke another air quality record last night here, my eyes and throat have been feeling awful with just quick trips to and from my car.